So far Monday, February 11, NASDAQ is down -0.96% and the S&P is down -0.61%. Here are this morning’s most active stocks: Sangamo Biosciences (SGMO – Research Report), Quinstreet (QNST – Research Report), Cormedix Inc (CRMD – Research Report), CDTi Advanced Materials Inc (CDTI – Research Report) and Nordic American Tanker (NAT – Research Report). Sangamo Biosciences is up 10.89% in midday trading to $8.55. Shares opened today at $7.71. The company has a 52-week low of $6.26 and a 52-week high of $0.00. On the Street’s front, the average 12-month analyst price target for the stock is $19.33, marking a 150.71% potential upside from current levels. In a report issued on February 8, Jefferies Co. analyst Maury Raycroft maintained a Buy rating on SGMO, with a price target of $23, which implies an upside of 198% from current levels. Separately, on November 19, Wedbush’s Liana Moussatos reiterated a Hold rating on the stock and has a price target of $11. 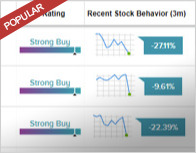 Over the last 3 months, the insider sentiment on Sangamo Biosciences has been positive based on 42 corporate insider transactions. This sentiment is slightly higher than the average sector sentiment of insiders. Quinstreet is down -8.64% in midday trading to $13.74. Shares opened today at $15.04. The company has a 52-week low of $9.76 and a 52-week high of $0.00. On the Street’s front, the average 12-month analyst price target for the stock is $19.50, marking a 29.65% potential upside from current levels. In a report issued on February 8, William Blair analyst Adam Klauber maintained a Buy rating on QNST. Over the last 3 months, the insider sentiment on Quinstreet has been negative based on 56 corporate insider transactions. This sentiment is lower than the average sector sentiment of insiders. Cormedix Inc is up 8.04% in midday trading to $2.15. Shares opened today at $1.99. The company has a 52-week low of $0.17 and a 52-week high of $0.00. On the Street’s front, the average 12-month analyst price target for the stock is $3.50, marking a 75.88% potential upside from current levels. In a report issued on January 31, H.C. Wainwright analyst Ram Selvaraju reiterated a Buy rating on CRMD, with a price target of $3.50, which represents a potential upside of 76% from where the stock is currently trading. Over the last 3 months, the insider sentiment on Cormedix Inc has been positive based on 20 corporate insider transactions. This sentiment is slightly higher than the average sector sentiment of insiders. CDTi Advanced Materials Inc is up 7.66% in midday trading to $0.42. Shares opened today at $0.39. 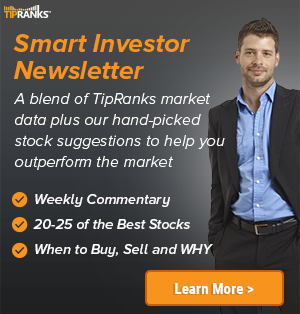 The company has a 52-week low of $0.29 and a 52-week high of $0.00. Nordic American Tanker is up 7.6% in midday trading to $1.98. Shares opened today at $1.84. The company has a 52-week low of $1.81 and a 52-week high of $0.00. 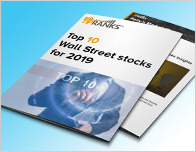 On the Street’s front, the average 12-month analyst price target for the stock is $2.13, marking a 15.76% potential upside from current levels. 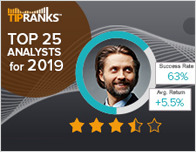 In a report released today, Maxim Group analyst James Jang maintained a Sell rating on NAT, with a price target of $1.25, which implies a downside of 32% from current levels. Separately, on November 12, Seaport Global’s Magnus Fyhr maintained a Hold rating on the stock and has a price target of $3.